As Special Counsel with the firm, Valery Barshak Gerard has defended clients in a variety of industries, including construction, transportation and retail. She has handled complex litigation from inception through trial. She also has experience with mediations, arbitration proceedings and administrative hearings. Valery’s practice focuses on a diverse range of civil litigation matters, including construction defect, real property disputes, government tort and employment issues. 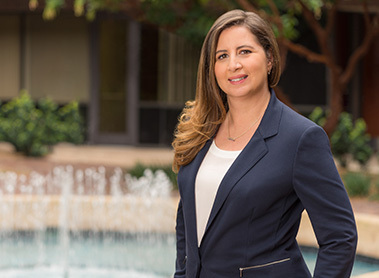 Prior to joining Liedle, Larson & Vail, LLP, Valery worked with several non-profit organizations including Casa Cornelia Law Center and The Professional Alliance for Children, where she represented families with seriously ill children. In 2014, The Alliance was recognized by the San Diego County Bar Association with the award for Outstanding Public Service by a Law Firm or Agency. Valery also served as a judicial extern for the Honorable Roger Benitez in the United States District Court for the Southern District of California. Prior to starting her legal career, Valery worked as a journalist and producer for national and international broadcast news organizations in both Los Angeles, California and Washington, D.C.
Valery is licensed to practice before all courts of the State of California. She is fluent in Russian. When not practicing law, she enjoys working with video editing and photography.